Our parish Mission started with a 'Walk of Witness' - we joined the final leg of the walk, taking our Mission lantern to St.Bede's. During Mass our lantern was passed to St.Robert's. Reception visited Herrington Park and came together with other schools in our Parish to create an unbroken chain. 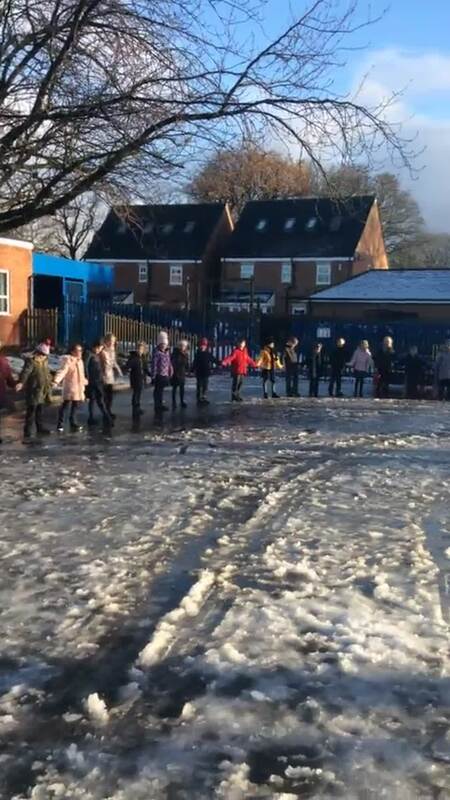 Whilst Reception were visiting Herrington park to create their own chain, each class came together on the school yard to create our own unbroken chain. We sang "Bind us together" to show that our chain is bound together with love and cannot be broken. Here is a video of our unbroken chain.